SPEAR Competes in NYU's Ortho Team Challenge to Get Children With Muscular Dystrophy #Backtolife! 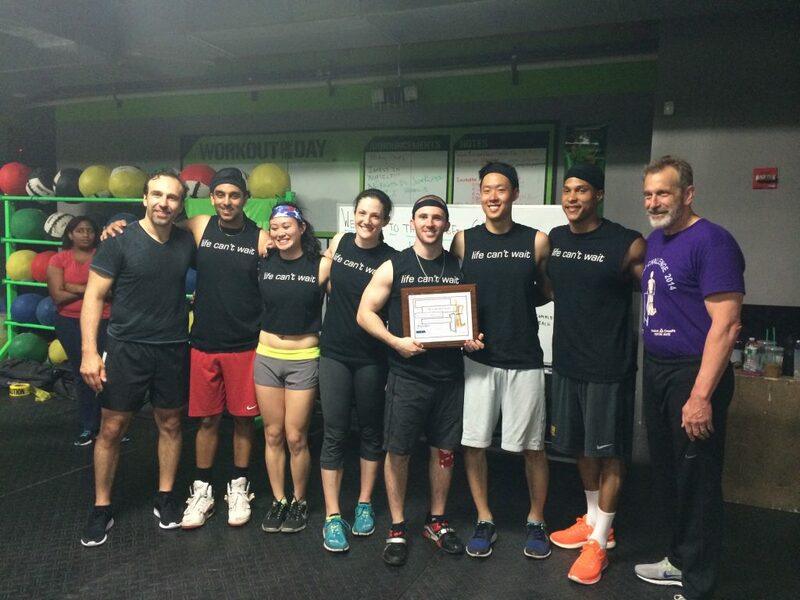 On May 18th, SPEAR competed in NYU’s 8th Annual Ortho Team Challenge, an intense day of CrossFit-style competition held at Reebok CrossFit 5th Ave, benefiting the Muscular Dystrophy Association‘s Summer Camp. In our last entry about this event, SPEAR’s Ortho Team Captain and 16th Street Physical Therapist, Jason Kang, wrote about why we chose to compete this year and how the Muscular Dystrophy Association’s cause is passionately shared by everyone at SPEAR. NYU’s Chief of Sports Medicine, Dr. Laith Jazrawi, along with Dr. Joseph Zuckerman, Chief of Orthopedic Surgery at NYU, helped the MDA organize the competition, which helped to raise over $10,000 for this year’s summer camp. Ten teams competed in three grueling events, including as many rounds as possible (affectionately called AMRAPs by the CrossFit community) of rowing, air squats, ball squats, team burpees, and team situps. The final event involved strategy and speed, challenging each team to complete 150 box jumps, 100 kettle bell swings, and 50 pull-ups, all while continuously holding another teammate in a deadlift- in no more than 10 minutes! SPEAR’s team completed the third event in under 7 minutes! SPEAR finished 2nd place over all, and took home the awards for Most Spirited Team and Best Individual Performance for 44th Street’s PT Aide, and NYU Physical Therapy student Rena Eleázar! For full pictures of the event check out our Flickr and Facebook albums as well as our highlight video featuring all of the action from the competition! NYU MDA Ortho Team 2014 from SPEAR Physical Therapy on Vimeo.